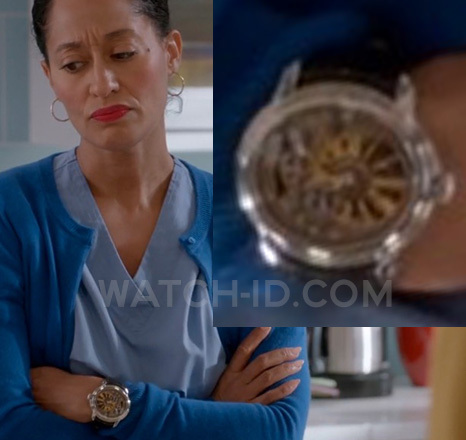 Tracee Ellis Ross wears a Audemars Piguet Millenary Selfwinding 4101 in Season 1, Episode 6 of the ABC comedy series Black-ish. Tracee Ellis Ross wears a Audemars Piguet Millenary Selfwinding 4101 in Season 1, Episode 4 of the ABC comedy series Black-ish. 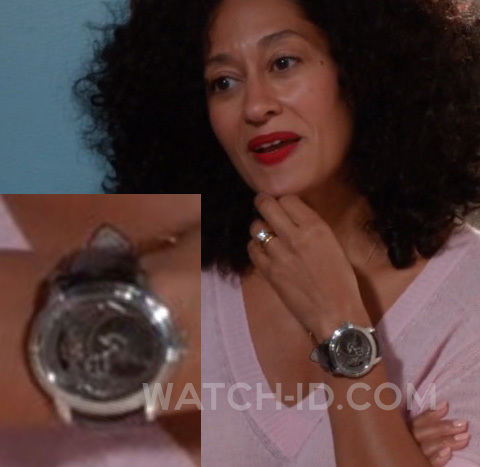 Tracee Ellis Ross wears a Audemars Piguet Millenary Selfwinding 4101 in the first season of ABC comedy series Black-ish. This is a stunningly designed watch from the Audemars Piguet men's collection, with an oval shaped case with skeleton dial through which parts of the movement can be seen. The gold watch with black leather strap has a dial with large roman numerals and a small seconds subdial. Reference number 15350ST.OO.D002CR.01. 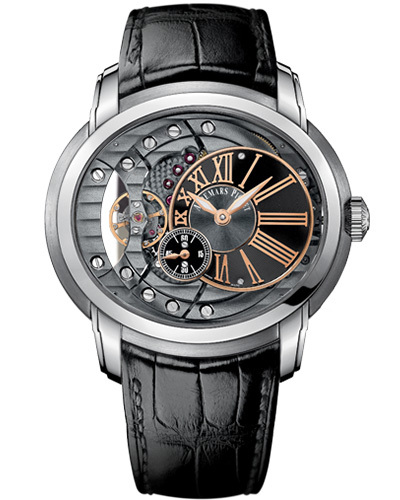 The Millenary Selfwinding 4101 retails for $24,500. Read a review of the Audemars Piguet Millenary Selfwinding 4101 on Fratellowatches.com or find out more about the watch on the Audemars Piguet website. Tracee Ellis Ross stars as Dr. Rainbow Johnson in Black-ish, a comedy series in which almost every character wears an Audemars Piguet watch, see other watches in the series here.